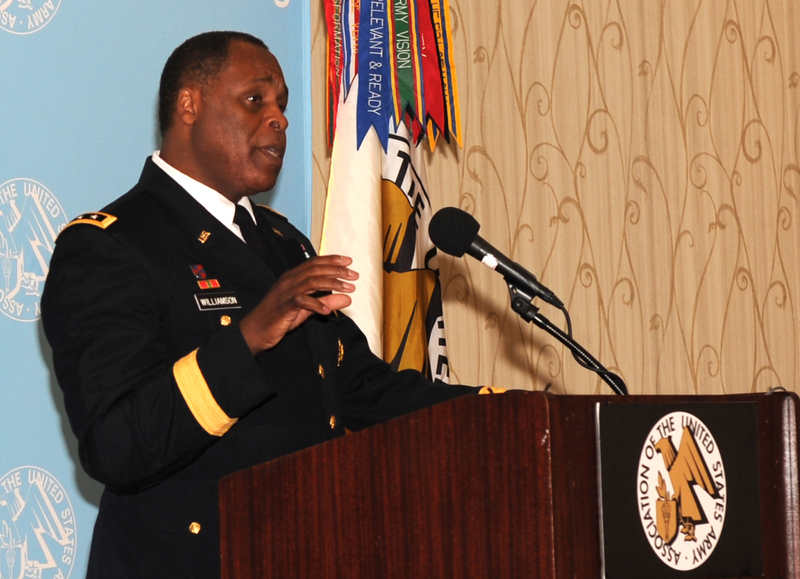 WASHINGTON (Army News Service, July 25, 2014) — Lt. Gen. Michael E. Williamson, principal military deputy to the assistant secretary of the Army for Acquisition, Logistics and Technology, said that after three months in his position, one of the things he’s learned is how the industrial base is interwoven with risk. 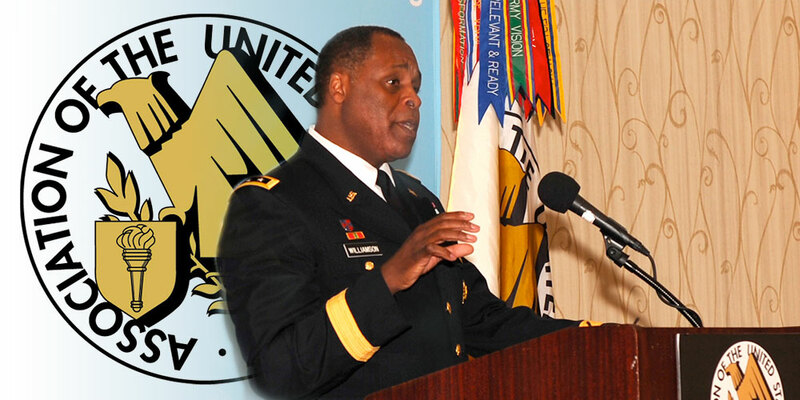 Speaking before a packed house of Association of the U.S. Army members, at the organization’s Institute of Land Warfare breakfast, Thursday, Williamson said he wasn’t going to make remarks about specific equipment programs. Instead he wanted to talk about what kept him up at night. “What keeps me up at night is making sure we have the human capital—the program managers, the engineers, the contracting professionals who are experienced and who understand how to do these things very quickly, very efficiently and very effectively, and that we have the relationship with our industry partners so they understand not only those things that we’re building today, but those things that are on the horizon,” Williamson said. Turning to one of his only comments with regard to equipment, Williamson recalled his early years in the Army when he drove around in a lightweight Jeep that was replaced by the safer, more mobile and rugged Humvee. Then when the enemy began using improvised explosive devices in Iraq and Afghanistan, the Army realized the Humvee’s vulnerabilities and developed the up-armored Humvee. While he is concerned that the Army makes sure it has wherewithal to deliver capability to warfighters 10 years down the road, he reminded the audience that the enemy “does have a vote,” and there will be new threats and new requirements that come, so it’s paramount the country has sustained investment in order to have the manufacturing capability in the U.S.